I’ve always been intrigued by data. When I was young, I knew I wanted to have some sort of career that involved numbers. So naturally, I went to college to help me find exactly what that career would be. I wanted to steer clear of accounting, thanks to a less than effective high school teacher, but other than that, I had no idea what I wanted to do. I enrolled in the College of Business at Southern Illinois in Edwardsville to further clarify what my career choice would be. Throughout my 4 years at SIUE, I never was drawn to any certain career. I enjoyed my Excel courses (more data) and my statistics courses were intriguing and challenging. The only issue was turning that interest into an actual job. I had the unfortunate timing of graduating college in 2009 when the job market was suppressed. Every interview I went on revolved around selling some sort of insurance or entry level commission based finance jobs (Think Northwestern Mutual and related companies). Even though none of these options were all that appealing to me, I knew I needed to get a job to start paying off the student loans that I accrued from the previous four years. That is how I ended up selling auto/home insurance for five years after graduation. After five years, I knew I didn’t want to sell insurance for the rest of my life. That is when Jim Lee welcomed me to Hito Management. Jim was looking to expand Hito Management and my college background made me an attractive candidate. I had limited construction experience, but I had a good grasp of using Excel, which was what was most important in my hiring. When I first came aboard, Jim was on a project in Indiana so he was training me on the fly. I closely watched as he worked in Primavera and Excel. He was also turning over certain activities to me so I could learn-by-doing. This method of learning turned out to be extremely effective. The first month of me being with Hito Management, I learned more about Excel than I did my entire four years in college. I learned tricks and formatting that I had never even considered that made work so much more efficient. Of course, the data we worked with daily really intrigued me and made every day more impactful. Now after 3 years of being with Hito Management, I’m still learning and growing every day. I have learned so much about technology and construction thanks to working side-by-side to Jim and being on construction sites seeing the day-to-day activities. There is a sense of achievement seeing a project to completion and being part of the team that gets it done. I feel that my journey is unique compared to a lot of people in the Construction Management career field. My limited experience has afforded me a fresh voice in the industry and I want to take advantage of that. 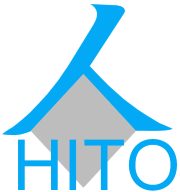 Hito Management continues to provide that space for me to grow as a professional and to be a part of a growing industry. It may have taken a few years, but I have found a fresh and exciting career choice that makes it exciting to get to work every day.